"We Dont Just Play The Music - We Entertain"
I am a professional DJ based in Oxfordshire. Over many years I have honed my skills so that I can offer you what I believe to be is the ideal selection of disco packages for your wedding reception, special occasion, party, or corporate event. I also have specific experience in supplying strict tempo music, for ballroom, Latin American and sequence dances, and competitions. For a successful dance the dancers have to 'hear' the music, and I am proud of the fact that my music is of studio quality. Childrens entertainment is also in my repertoire and well catered for. All of my equipment has been carefully selected so that it not only sounds good, it looks good too. Over many years I have built up a music catalogue that covers all eras from 1950 to present day. I believe that a good disco is not complete unless you can offer the right sort of music to suit a wide age group. 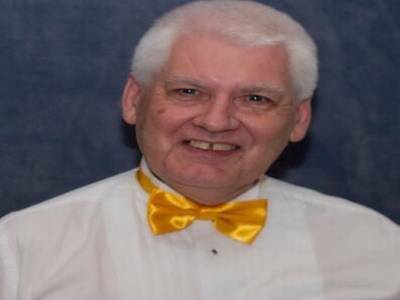 I will spend time sourcing special songs that may be required and will also invite you to send me a playlist of all your favourites so that they can be included during the evening. After gaining a lot of experience working in a wide range of venues large and small I am fully aware of the importance of being able to work around specific time allocations. Early set up options are available. Required by many venues, Blue Diamond Sound has a current PLI policy with National Association of Disc Jockeys in the amount of £10 million. Also required by many venues, Blue Diamond Sound has supplied satisfactory evidence of holding current PAT inspections of their equipment dated within the last 12 months. A Method Statement outlining Blue Diamond Sound&apos;s Health & Safety procedure for setting up disco equipment has been provided. Blue Diamond Sound has provided Risk Assessments undertaken at events sourced via needadisco.com, indicating that they can undertake these competently. Why do people choose to book Blue Diamond Sound? Best quote and fast to get back to me. He had a current DBS check. "I wasn't there myself, but heard that Morris was professional, approachable and reliable, with high quality DJ equipment and great music choices for the age group." "Thank You for your feedback - we enjoyed the evening too"
"The choice of music was excellent - The DJ was very engaging, interactive and entertaining - His prior knowledge of the venue also proved invaluable"
"Thank you for your feedback - Really enjoyed the evening"
"Excellent service.My guests loved Morris." "Morris is a really great guy and the kids loved the music I would use him again!!" "Thanks - Really enjoyed the evening - The interaction with the kids was great!" "The evening was awesome - The DJ kept the audience amused and entertained - The selection of music was perfect, and the quality of sound was the best I have heard for ages- we shall definitely be engaging Blue Diamond Sound for further bookings on a regular basis." "Thank You for the positive feedback - Look forward to performing at your next dance"
Blue Diamond Sound also offers a range of additional party services not directly linked to musical entertainment. 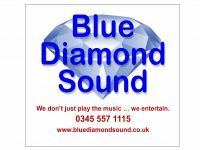 Get FREE no-obligation disco quotes from Blue Diamond Sound and other DJs covering your venue. Take 2 minutes to fill in some basic details and we'll do the rest! If you are contacting Blue Diamond Sound about an event, it's always a good idea to include the DATE, LOCATION, EVENT TYPE, AGE GROUP and TIMINGS to speed things up!